You're in Denver for the 2011 Great American Beer Festival, but what do you do when you're not wandering from booth to booth on the convention floor during one of the tasting sessions? Seek out more beer to drink, of course. Denver is one of the best beer cities and there are a plenty of breweries, brewpubs and beer bars in the area to visit. 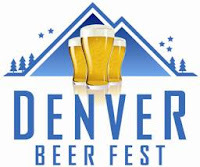 The Denver Beer Fest runs from Sept 23rd ~ Oct 1st and their website is great resource for finding beer events by date, type and location. If you want an easy way to find everything and see it on a map, check out the City Beer Map for Denver and surrounding area on The Beer Mapping Project website. Falling Rock Tap House (Beer Bar) - Probably the best beer bar in Denver. 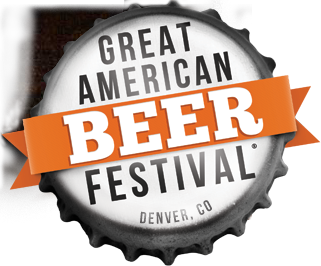 Located in the trendy LoDo area, its got a huge selection of draft and bottled beer. However, don't plan on finding a place to sit down and be prepared for very long wait times to get a beer. Great Divide Brewing Co (Brewery) - Stop by their Tap Room for a sample of their beers and take a tour. 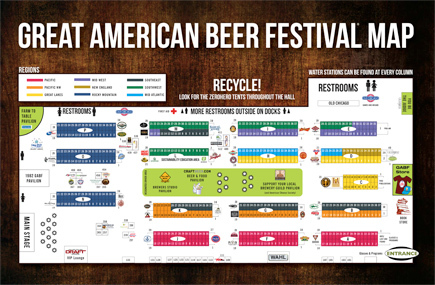 The map of the 2011 Great American Beer Festival (GABF) convention floor is now available on the website. 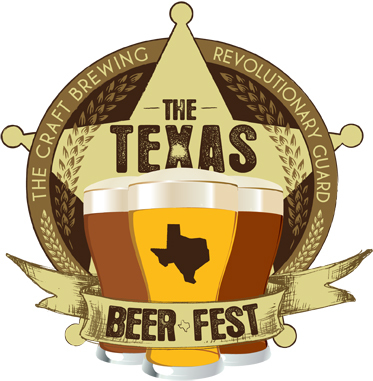 The brewery tasting booths are arranged by region of the country and the attending breweries from Texas are in the Southwest section. 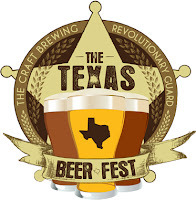 If you have any specific breweries and beers that are a "must try", I strongly suggest you download the .pdf file and print the the map and mark the location of those booths. It can be overwhelming and chaotic in the convention center (particularly if this is your first time) and you will definitely miss out on some great beers if you just wander up and down the rows (save that for after you've got to the ones you wanted). The Oktoberfest party is Saturday, October 1st with brats, beer and games starting at noon.